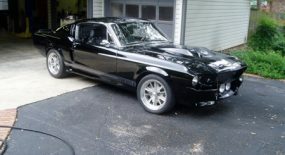 It’s the stuff dreams are made of. 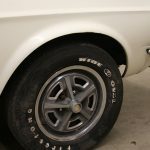 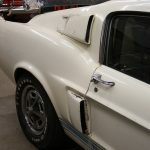 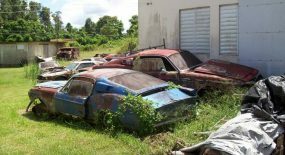 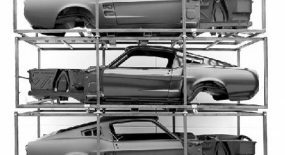 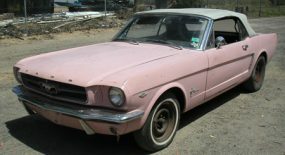 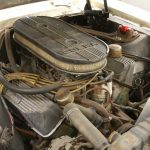 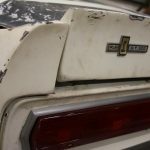 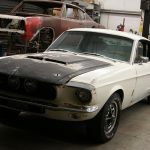 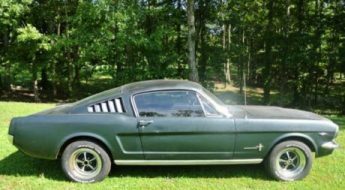 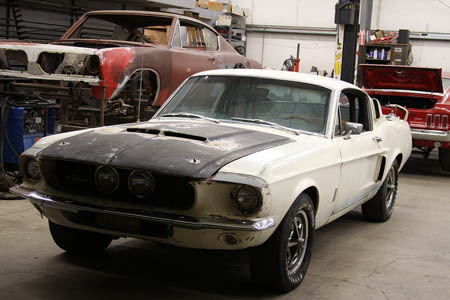 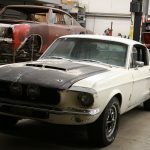 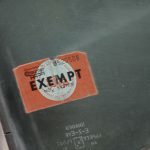 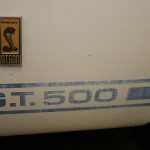 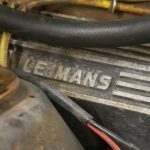 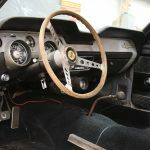 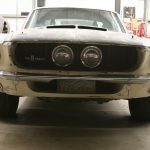 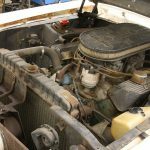 Finding a genuine 1967 Shelby GT500 rust-free and untouched for over two decades. 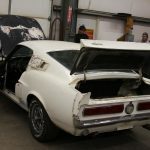 That’s exactly what one Ford fan from Massachusetts has done. 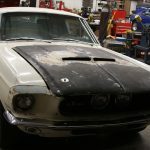 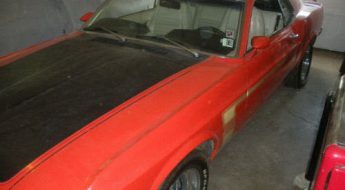 The Mustang was parked outside, exposed to the California desert conditions; while the paint has been steadily sandblasted (that’s the raw fiberglass on the hood and rear deck) the rest of the car was well-preserved in the low-moisture climate of Death Valley. 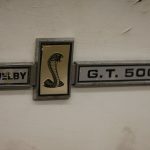 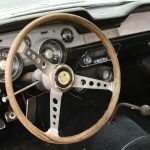 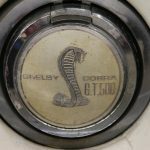 The car has been certified as a genuine Shelby and still carries the proper Shelby ID tag on the fender, wooden steering wheel, fiberglass hood and deck lid with spoiler, center grouped driving lights, four speed manual transmission, dual quad topped 428 and Shelby badging. 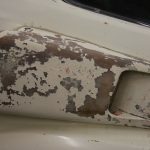 Although some sand had to be removed from the body the car appears rust free and the working parts need little more than a quick once over. 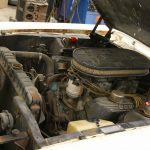 Some work has already been performed as you’ll see the bright red shock absorbers in the engine bay. 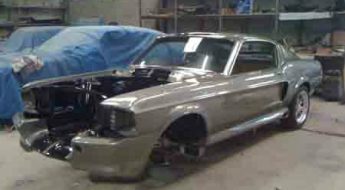 But other than touching up the brakes and making sure the electrical is functional, this thing is going to be driven as is. 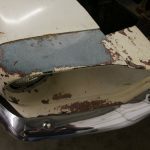 Not going down the full restoration route is such a great idea. 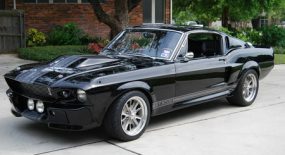 To run around in a weather GT500 in perfect mechanical order just has a kind of panache about it don’t you think?